We’d love your help. Let us know what’s wrong with this preview of Cephrael's Hand by Melissa McPhail. To ask other readers questions about Cephrael's Hand, please sign up. Does this book have any romance in it at all? I'm sort of a dork for fantasy romance like the Sword of Truth series. Tony It's not stated in the book. I think it simply refers to the idea that Ean and Creighton are childhood friends and trust and love each other as much…moreIt's not stated in the book. I think it simply refers to the idea that Ean and Creighton are childhood friends and trust and love each other as much as they would trust their own family members. A solid read that I picked up purely based on the audible recommendation and one or two people mentioning it was good. It's a self-published read, but it feels well paced and although it starts off slow the drama and intensity builds once you know who's who. This is the story of three vastly different people and what happens when their paths cross. There is the old ancient race of the Adepts who are a slowly dying race with just Bjorn as the man who may somehow save them. Led by Raine, we are att A solid read that I picked up purely based on the audible recommendation and one or two people mentioning it was good. It's a self-published read, but it feels well paced and although it starts off slow the drama and intensity builds once you know who's who. There is the old ancient race of the Adepts who are a slowly dying race with just Bjorn as the man who may somehow save them. Led by Raine, we are attempting to uncover the mysteries and intricacies of the race and the reasons it may be dying out and how to reverse the effects. Although I liked the ideas in this storyline it was probably the slowest for me in terms of action and interest. By the end of the book I was into it, but at first it was a slow burn. Then we have Ean, the last prince who is the last heir to the Eagle Throne and seeks to avenge the early death of his blood brother after an assassination attempt. Ean is young and yet he is key to many of the games currently being wagered in his Kingdom and when his return home is bombarded with assassination attempts, distrust and death he ends up many miles from where he wished to be. I definitely found Ean's story to be a solid one and I liked being able to learn a lot more about the magic of the world through his (and Alyneri's) eyes. Finally we have Trell, a young soldier who is seeking answers about who he is and where he's from. Trell has little memory before he woke up on the shores and was taken in and trained by the Desert people, but there's certainly more to him than even he knows and his journey helps him to discover some of that. Carian - a pirate who reminds me greatly of the character of Captain Jack Sparrow in Pirates of Carribean (a fave character of mine). He's silly and rude and charming and lewd and he won't take anything for granted or as impossible. Tanis - a young truth-reader in training who is learning the ropes and the ways of the world. In particular there was once scene where Tanis is curiously asking a bunch of questions about how haggling works in a market and a grouchy guard is answering him and I loved the raw curiosity and honesty in this scene. Maybe it would feel unnecessary for some, but for me it made the whole moment feel totally real as though this was a genuine conversation a young boy may have with someone considered a role model to him. The magic within this world is all based around patterns. There are five different strings of magic and different people can use different strands. 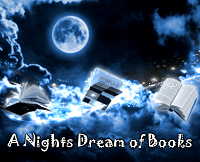 We know when the book starts that there are fewer fifth-strand magic weilders than the others strands, and we alos learn a lot more about the various uses and qualities over the course of the book. We also have Shades and Zanthers and healers who are vital to the workings of this story. These different types of people are both wacky and wonderful becuase it fleshes out the magic feeling and makes the story seem more involved. I particularly liked the idea of people's souls being strands of pattern woven together into unique designs and healers being the ones who have to patch up and mend these patterns if people are injured. There are many things I really liked about the magic within this story, I just would have liked to see a little table or key in the physical book to show you exactly what's what so you didn't have to remember every one. The pacing and style of this feels a little slow at first but by halfway I was super into it and really loving the cast and plot. I am definitely eager to continue on, and I would class this as a High Fantasy becuase of the sheer amount of magic used and thwarted in the story. I wanted to like this book, and in the beginning, I really did. And I suppose, I liked it more than I disliked it. The story had so much potential in the beginning, but ultimately, it succumbed to too many "deus ex machina" moments. These moments seemed to be added simply to have an "action" sequence. Examples include sudden evil lords of cities intervening for reasons that didn't serve the plot. A little over half-way through, the main characters (whose story lines all came together, for the mo I wanted to like this book, and in the beginning, I really did. And I suppose, I liked it more than I disliked it. The story had so much potential in the beginning, but ultimately, it succumbed to too many "deus ex machina" moments. These moments seemed to be added simply to have an "action" sequence. Examples include sudden evil lords of cities intervening for reasons that didn't serve the plot. A little over half-way through, the main characters (whose story lines all came together, for the most part) arrive in a city where an evil lord starts mingling. We'd previously never heard of this city nor this lord and his motivations were explained in an all too brief foreshadow paragraph of dread. It just didn't work for me and seemed futile to the previously well laid story. 1) The world building, particularly the history, is very good. I enjoyed the history and the Vestal's. I enjoyed the different races and cities. 2) Some of the characters, particularly Trell, were very enjoyable to read. 3) The foundation of the story is great. 1) As mentioned above, too many "deus ex machina" moments. Peter Jackson screwed up the Hobbit movies by adding too many moments to simply have an action/suspense scene. This book does the same. Pointless action sequences seemed to detract from moments that would have been great for further character/plot building. 2) This book, being self-published, needed a better editor. Typos run rampant (Sebastian and Senastian are frequently interchanged and for a while I thought I was reading about 2 different characters). Additionally, the author's voice switches from a Tolkien-esque "epic" voice to contemporary speaking. It gets distracting. 3) The women in this book are ANNOYING. Alyneri is insufferable. The queen is considered "annoying and meddling" (even though we never see evidence to support this, especially considering a plot-twist involving a conspiracy that redeems her from this meddling occurs about half-way through happens before we ever get a chance to distrust her other than a sentence saying we should). From a female author, I expected the women to be less of fantasy tropes than they were. And finally, a note on self-published books. I guess most of my disdain for this book comes into play here. To explain: I purchased this book after seeing an ad for it in my facebook feed. I immediately checked goodreads and amazon and saw a high-star rating and many glowing reviews. I thought, "great, a highly praised new series!" I immediately added them to my wish-list on Amazon and received all three as a Christmas present. I was so so excited to read them. And then my disappointment continued to grow. I feel a little like a victim of a marketing campaign. I love to support new authors and have read many self-published books, but the reviews on these sites seem to be paid endorsements or family and friends trying to help a friend out. Ultimately, this book has the foundation to support great reviews. It kind of falls apart as you move further into it, which was a let-down. Is it worth reading? Sure. Is it great? No. Could it be great with a few edits and trimmings and expansions? Absolutely. And I think a publisher should take interest in these books and this writer and help tailor these books to match their potential. Will I read the sequels? Perhaps at some point. But in the meantime, there's lots of other stuff on my to-read list that I need to sink my teeth into. I generally hate when an ad for a book begins, fan of WOT, GOT, Stormlight Archives..........will love this book. Usually they're nothing like said iconic book of the genre. In this case however I think you like Wheel of Time you'll like this and if you don't then don't bother. Alyneri provides the braid pulling female you want to throttle. The book has similarities to WOT but isn't in lockstep with it and definitely has a desert/Middle Eastern feel which I really liked. I also enjoyed s 3.5*'s. The book has similarities to WOT but isn't in lockstep with it and definitely has a desert/Middle Eastern feel which I really liked. I also enjoyed some of the characters being of questionable but not necessarily evil character. My biggest complaint was characters interaction always seemed to end with a sentence like "He glanced at her with a look of admiration" or "She looked at him with a sense of awe". After a while it gets a bit repetitive. Find the full review on The LUV'NV blog, here. I am inspired and yet don't know where to start. Rarely do I come across a book that fills me with such zeal and I'm convinced the whole world needs to read it. I can count four. After reading Cephrael's Hand—no, after reading Cephrael's Hand and The Dagger of Adendigaeth , the first two books of A Pattern of Shadow & Light series, I can count six. Shocking, since I'm rather picky about Epic Fantasy. Melissa McPhail created a world unlike any other in fiction but also not unlike our own, where individualism and unity exist all at once; good and evil coincide, are intertwined, and vary in shades; and philosophy, mundane and profound, shape lives. With her debut novel, she captured a whole world—from its physical base to its ethereal heavens, and everything tangible and intangible between, before known time and (hopefully) not its "after." Cephrael's Hand is full of universal truths, a wide-ranged cast of lovable characters both good and evil, and the most believable, thoroughly thought-out world I've stumbled into. Melissa McPhail set a new bar for Epic Fantasy with her debut. An ambitious, highly entertaining adventure that is also thought-provoking and discussion-worthy—if there's a series you read next year, make it A Pattern of Shadow & Light, starting with Cephrael's Hand. Well if this wasn't a well written and entertaining epic fantasy story I just don't know what is. I've been reading a lot of indie fantasy books as of late and Cephreal's Hand is the crowning jewel of these. Excellent world building, magic system, characters and story. This book is everything an epic fantasy book should be and well over 600 enjoyable pages! There does seem to be way too many POV characters at times though and it can be a trifle overwhelming. There are three main POVs, six to nine Well if this wasn't a well written and entertaining epic fantasy story I just don't know what is. I've been reading a lot of indie fantasy books as of late and Cephreal's Hand is the crowning jewel of these. There does seem to be way too many POV characters at times though and it can be a trifle overwhelming. There are three main POVs, six to nine secondary POVs and another four or five tertiary POVs. It's quite a lot but we'll worth it once you get your bearings. All with the exception of Alyneri whose character still leaves a bitter taste in my mouth. As a protagonist, one expects to like and root for her but she was so bitchy and counter productive at times that I wished her character a quick and horrible death. With the books conclusion this wish may come to pass in book two. One last POV gripe. There didn't seem to be enough of the best main POV in the book: Trell of the Tides. Easily the most interesting character with the least amount of story. More Trell, less Alyneri. On to book two! Good world building and story telling, but I never really cared about the main characters. Too much detail about too many minor characters. Also too many modern American cliches--knocks the reader out of the classical mood of the story. Not to mention the many arched eye brows and bit lower lips. map in ebook edition useless. I read quite a bit and normally I read several books at once. When I started reading Cephrael's Hand, however, I had to put everything else aside until I found out how it all wrapped up. Cephrael's Hand is a big book that takes place in big world, but it isn't overwhelming like certain other fantasy doorstoppers. Each character is likable and interesting, and each plot thread is connected to all the others--and thus actually matters. There are no wasted words or filler scenes. Even though it is a I read quite a bit and normally I read several books at once. When I started reading Cephrael's Hand, however, I had to put everything else aside until I found out how it all wrapped up. Cephrael's Hand is a big book that takes place in big world, but it isn't overwhelming like certain other fantasy doorstoppers. Each character is likable and interesting, and each plot thread is connected to all the others--and thus actually matters. There are no wasted words or filler scenes. Even though it is a big book, it moves along briskly. A sense of purposeful motion fills every page. I'm a big style snob and it's difficult to impress me, but Ms. McPhail's prose was at once graceful yet accessible, artistic yet transparent, which is that perfect balance that I always strive to find in a book. Every description is vivid yet never bogs down the pace. Again, her prose pulls you through the story and doesn't ever let go. Sorry, you guys. I just couldn't get into it. (Reviewer's Note: I received a paperback copy of this book from the author, in exchange for an honest review. This novel is an incredibly detailed tapestry of characters and events, laid out in a book of truly epic proportions. The various plots are like strands of elae, McPhail's name for the magical energy underlying the universe in her novel, and a totally unique concept in the fantasy genre. Like a wielder of this energy, McPhail weaves these plots together to create a multi-faceted, yet unifi (Reviewer's Note: I received a paperback copy of this book from the author, in exchange for an honest review. Like a wielder of this energy, McPhail weaves these plots together to create a multi-faceted, yet unified whole. The result makes for some totally fascinating reading! For me, the three most compelling characters are Ean val Lorian, Prince of the Kingdom of Dannym, Trell of the Tides, who has until recently been in service to the Emir Zafir bin Safwan, and Alyneri d'Giverny, Adept Healer and Duchess of Aracine, who has been, much to her disgust, romantically linked to the very charming Ean. Indeed, these three are the pivotal characters in this monumental tapestry, even though others, like the Fourth Vestal, Raine D'laCourte, and the Fifth, Bjorn van Gelderan, would seem much more important. Ean and Trell are both courageous, fierce warriors when the need arises, but are also kind and compassionate, almost to a fault. As for Alyneri, I greatly admire her determination to travel and live independently, pursuing her own healing interests without interference. However, she can't help but feel an attraction to Ean, although she hotly denies it. A phrase by Shakespeare comes to mind here: "The lady doth protest too much, methinks." Another wonderful character is the young Truthreader, Tanis. He's very naive because he's still so young; however, he's quick to act when necessary, as when poor Alyneri is almost kidnapped by the very arrogant Ianthe d'Jesune val Rothschen, the Marchioness of Wynne, who has decided that Alyneri is not behaving like a 'proper' young lady. I also love how Tanis hero-worships Prince Ean. The world-building is just as intricate, and well-thought out, as is the plotting. McPhail's fertile imagination has conjured up a whole collection of creatures and races, beginning with the Adepts, who are people born with the ability to sense and use one of the strands of the mysterious elae. These magically talented individuals are overseen by Vestals, Adepts entrusted with the enforcement of the rules and activities of the particular strands of elae they are talented in. There are five such strands, so there is a Vestal for each, and each strand embodies a different facet of elae. Other fascinating creatures are the Drachwyr, who can shapeshift into dragons, the Zanthyrs, who are also shapeshifters that can take different animal forms, Wildlings, Adepts of the third strand, who may or may not have supernatural abilities, and the formidable, very intriguing Shades, who seem to be part human, and part machine. There are also beings known as the Malorin'athgul, created by the Maker (Creator) for the purpose of 'unmaking' the universe at its fringes, even as it continues to expand at its center. Then there are the races, some of which are loosely based on the races of Earth. For instance, the people of the Akkad Emirates are definitely very similar to Arabs, from their names and lifestyles to their desert gods. Others are clearly similar to Nordic groups such as the Vikings, and there is even a group of islands known as "Jamaii", which is a clear reference to Jamaica, while the Kingdom of Veneisea reminds me of Venice, Italy. There are French references, as well, with a land known as Vienne-Sur-Le-Valle, and some of the characters speak a language strangely akin to French. McPhail has created her own fascinating mythology, as well, especially with the desert gods. My own favorite is Naiadithine, the Goddess of Water, who takes a special interest in Trell. Cephrael, the Maker's son, has been immortalized in a constellation, named "Cephrael's Hand"; hence the book's title. The author has included a very helpful glossary, as well as two maps, at the beginning of the book. Also included is a detailed list of all the characters, which also encompasses the gods. One of the book's most intriguing concepts is that of Balance. This refers to the force of cause and effect that is present in the laws of the universe created by the author. Adepts are constantly debating how far their magical manipulations can push the strands of elae in one direction or another, before Balance is disrupted, which will have drastic consequences for those working the strands. I see this as a subtle reference to the need for ecological balance in our world. Conspiracies and treacheries abound, and Prince Ean is mysteriously important to someone who wants him captured, but for what purpose? And yet, potential assassins surround him.... Meanwhile, the traitor Bjorn must be found, so that he doesn't succeed in whatever nefarious plans he has for Alorin and its people. This novel is indeed a monumental achievement, a feat of the imagination! It's a spellbinding journey into a world of perils and wonders, compellingly drawn characters, and even political intrigue. Although at times the action slows down, it then picks up again, and the reader is swept into another mystery, another political intrigue, and the battle of wills between the good and evil characters in the book. There are so many things to love about this novel! From the very first pages of the book, the reader is plunged into this world in which the currents of Fate, as well as those of magic, will be sure to propel said reader along, until the final page is turned! Fantasy fans, prepare to be delighted and totally immersed in this unique, magical universe! This series has a lot of potential (which I don't think it quite lived up to in the first book). The ending was solid and interesting, but I had a hard time getting through the middle. This mostly felt like the setup for a (potentially) great series. I'm adding this warning as I read book 3 in the series as the series has taken a much darker tone than it began with. Do not get hooked on this series if reading scenes of torture / sexual violence are not something you are comfortable reading. It is not worse than what you would read in Game of Thrones. In retrospect, this series has moved much closer to George RR Martin with a touch of Michael J Sullivan. Before I read this book, I had never heard of Melissa McPhail. If you like high fantasy and fantastic world building and have not heard of her either, you should correct this now. How would I describe her writing? The closest author I can think of would be Michael J. Sullivan. They both excel in writing characters that you care about and in fully fleshing out the universe of the book. If you haven't read any of Michael J. Sullivan's books, do that too. I'm not sure if I can continue to be your friend if you don't. If you need another author to compare Melissa to, I'd say George R.R. Martin, but not nearly as dark. I don't know how this book got onto my reading list, but I am incredibly glad that it did. The characters are complex and the develop throughout the book. They are not infallible. They do not spring into being fully made. They grow. They develop. They are good. They are evil. They are complex. There may be a few one-dimensional supporting characters, but the main characters (another similarity with Michael J. Sullivan) are plentiful and rewarding. I'm being nitpicky here. This world is fabulous. It directly impacts the story in so many ways. Ways that I do not yet see. That is my only nitpick. I want to absorb every piece of this universe. Now. I want to know the behind the scenes. I want to understand how it really works. Yeah, this is 5* too. I'm just not able to read this series fast enough. I love the plot of this story. It unfolds slowly and in directions you do not anticipate. It is extremely complex, but yet straightforward in how it unfolds. The author must have flowcharts covering the entire wall of her writing room to keep this straight. Plots start out separately, then come together, then branch out. I was upset that I was reading a ebook copy, as although I dutifully read the table at the beginning that detailed all of the characters and the various terms, I couldn't keep them all straight in my head when I started reading. Had this been a hard copy, I could have easily flicked back and forth. Nevertheless, the novel was very enjoyable - alt This review has been crossposted from my blog at The Cosy Dragon . Please head there for more in-depth reviews by me, which appear on a timely schedule. I was upset that I was reading a ebook copy, as although I dutifully read the table at the beginning that detailed all of the characters and the various terms, I couldn't keep them all straight in my head when I started reading. Had this been a hard copy, I could have easily flicked back and forth. Nevertheless, the novel was very enjoyable - although as an epic I struggled to keep them all straight in my head! I gravitated towards liking various characters from the beginning. Trell hit a note with me, as did Franco, even though it seemed as if Franco wasn't all that he has put himself up to be as. It's so difficult to discuss the characters in detail because so much is important to the plot. I didn't like Ean, and he seemed like a bit of an idiot. Yes, noone knws what is going on with the strands, but then again, he doesn't have to torment the poor young truth reader so! For character development, I would have to give five stars for Trell's development, and not quite so many for the other characters. If you're looking for the interest here, it's Trell. If you're more of a plot person, you'll want to follow the other characters more. The descriptions was subtle, and the world building impressive. Although it was quite confusing at first, and I didn't really know what was going on as a larger picture, I knew that the constellation of stars was probably shared by the people in the same world, and so that provided a grounding point for me. Sounds confusing? You'll understand it when you read the novel. I loved the tongue in cheek humour that peaked through in parts, and also the irony that became apparent as I continued to read. There were so many cases of mistaken identity and also the things that appeared to be something else. It's quite masterful really, and it really reflects the style and ability of the author that she can keep all of these straight. On this first reading (I'm saying I might have to do a second to really appreciate it more), I didn't pick up any inconsistencies. Originally, I was going to do this review as an interview with one of the characters, but life got in the way and there is no way I have time to do so. Which leaves the basic type of review. It’s just as fun though, especially when talking about this book! You’re sitting in your favorite spot, warm and cozy with your pajamas on and a book in your hand. You read. And you read. And r Originally, I was going to do this review as an interview with one of the characters, but life got in the way and there is no way I have time to do so. Which leaves the basic type of review. It’s just as fun though, especially when talking about this book! You didn’t even realize you’d reached the end! That’s how good this book is. You want to keep reading right away because “WHAT’S GONNA HAPPEN NEXT??? ?” Syndrome takes full effect. Wanna know why this book is so good? I’ll tell you. The characters have everything you want them to have. They are diverse and flawed and you feel as if you could reach out and touch them. Their trials and tribulations will make you laugh, cry, and jump up and down in victory right along with them. 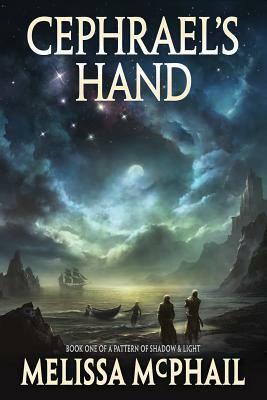 If you do one thing this winter, I suggest you read Cephreal’s Hand. There were a lot of really GREAT things going on in this book! Seriously! The setting, for me who absolutely LOVES setting, was spectacular!! I literally felt as though I’d been transported to this other world. There’s just so much political intrigue was in depth and fascinating. I love, love, loooooved the fact that it wasn’t written for easy reading. You really had to pay attention to what was going on in order to keep up with the happenings! There was so much lovely, lovely potential in this b There were a lot of really GREAT things going on in this book! Seriously! The setting, for me who absolutely LOVES setting, was spectacular!! I literally felt as though I’d been transported to this other world. There’s just so much political intrigue was in depth and fascinating. I love, love, loooooved the fact that it wasn’t written for easy reading. You really had to pay attention to what was going on in order to keep up with the happenings! There was so much lovely, lovely potential in this book! However, the author needed a bit more help in the BETA and editing process. There were elements that weren’t as strong as they needed to be because the writing itself was weak. The concept was great, but the writing needed to be tweaked more. I’m not saying the writing was awful. FAR FROM IT! However, when I see an author who’s able to see a story of this magnitude, I expect a certain level writing caliber from them. The skeleton of the story is there. The meat is there as well. It just needs refined, and when I say refined, I mean, quite literally, it just needs tweaked. A sentence here and there reworded. Using the right words in the correct context in the right sentence. Refining the pace because that was off. While I did enjoy the read, I was extremely disappointed in this book. To be fair, it was mainly because I had huge expectations. My main criticism is the seemingly forced epicness of the story. Most of the plot is meaningless. You could cut whole plot lines and not miss much at all. One plot line that has no baring on the story, and last the whole book, is Trell's. It's a shame, because Trell was by far my favorite character. Yet, the story would be exactly the same if he was cut altogether from While I did enjoy the read, I was extremely disappointed in this book. To be fair, it was mainly because I had huge expectations. My main criticism is the seemingly forced epicness of the story. Most of the plot is meaningless. You could cut whole plot lines and not miss much at all. One plot line that has no baring on the story, and last the whole book, is Trell's. It's a shame, because Trell was by far my favorite character. Yet, the story would be exactly the same if he was cut altogether from the book. The "twist" wasn't well delivered at all either, making his existence questionable. Or maybe I wasn't meant to discover it when I did? I am not sure, it was obvious to me. I was very annoyed with the "made-up" language in the book. If you're making up a new language, don't pick google-translated french. The magic system is extremely confusing. Maybe that's a plus for some; trying to figure out what the hell is going on. Not for me. This book was good! No, it was better than good. As a matter of fact it was SUPERB! .... I cannot wait to start reading book 2 .... I am positive it will certainly not disappoint me. This was a great fantasy book! Can't wait for the next book to come out! so much arched eyebrow and biting of lower lip! like every other sentence. cool book worth reading. needs an editor who cares. Hello all, and welcome to my review of Cephrael’s Hand by Melissa McPhail. This has to be a close first for me, as this book has most certainly earned 5 stars. Absolutely, without question it has to be one of the best fantasy books I have read. McPhail’s work can be likened to the classic works of Tolkien, or Jordan an epic universe with fantastic detail and obvious thought placed into it. There are new races, locations, politics and relationships. Don’t let the glossary send you running! McPhail managed to turn some well known tropes around and made them her own in an interesting and unique way. The characters were well defined, and though there were some mistakes it didn’t take away from the over all plot. There may have been some pacing issues for me in the beginning, but I held fast, kept reading and was ultimately happy doing so. This is certainly a novel that I am sure I’ll have to re-read. There is a lot of information that wends this world. I have enjoyed it immensely. Her descriptions have been paramount in engrossing me as a reader and just scream of adventure. I am certain I could read it again and learn new things that I had missed the first time, leaving me excited that there will be another book in this series to look forward to. If she can keep the suspense and characters coming, I can definitely seeing this book being a popular one amongst fantasy fans or even young adults. I enjoy reading so many kinds of books. Epic Fantasies usually only make up a small part of my reading. I don't venture into that genre often. Still I was very interested to read Cephrael's Hand when I was asked. I like to branch out, and the synopsis of this book is intriguing. I was not disappointed at all. Melissa McPhail has a gorgeous writing style that flows easily. She easily told this story from many points of view without it becoming confusing to the reader. She did an amazing job of tyi I enjoy reading so many kinds of books. Epic Fantasies usually only make up a small part of my reading. I don't venture into that genre often. Still I was very interested to read Cephrael's Hand when I was asked. I like to branch out, and the synopsis of this book is intriguing. I was not disappointed at all. Melissa McPhail has a gorgeous writing style that flows easily. She easily told this story from many points of view without it becoming confusing to the reader. She did an amazing job of tying all the characters' stories together. I found myself loving every moment. When one characters point of view would end I would be dying to know what would happen to them next. The world of Alorin was beautifully written. McPhail's descriptions of all the different magical beings was amazing. I was so engrossed in what was going on. I could imagine this gorgeous world full of sun dragons and whisper lords. I had no troubles picturing what they must all look like. All the places that they were traveling were described so perfect. McPhail has a wonderful imagination and she knew exactly how to let her readers into it. I would suggest this book to everyone. I am completely in love with it and all the characters. I am waiting, not so patiently, for the next book to be released. I'm also waiting to hear that it will be made into a movie. Put the right director with McPhail and Cephrael's Hand and it could be an absolute success. It makes me wish I had a six star rating. I'm really not much for reviews but i felt like i ad to for this book..
Wow. One of the best reads of the year. The story mainly focus's on Prince Ean returning home then embarking on his quest for vengeance against those who murdered is Friend/Brother, (Tedious) Trell of the Tides, who is adventuring all over trying to piece back together his forgotten past. i finally got around to reading it and suffered one I'm really not much for reviews but i felt like i ad to for this book..
i finally got around to reading it and suffered one of those incredible moments where your not sure if you want to kick yourself for not picking up sooner or just celebrate at finding a gem. This series has some of the best Worldbuilding i have experienced since Stormlight Archive or even Wheel of Time and i do not make these comparisons lightly. The Magic System is incredible and very different and unique and yes exceptionally cool. There is a large and varied cast with three main POV's, eight or nine secondary POVs and another four or five tertiary POVs. Personally Ean was a personal favorite of mine, i found Alyneri and Trell a bit trying at times but apart from tat this book was amazing. I received Cephrael's Hand for free through Goodreads First Reads and when the book arrived I was overwhelmed by the size of it. As I started to read, I thought to myself how am I ever going to get through this. I went back to the beginning of the book and reread the glossery of terms and the list of explanation of the people and where they fit in. I then continued to read and I still had my doubts and then the book seem to take a magical hold on my mind and I had to force myself to stop reading I received Cephrael's Hand for free through Goodreads First Reads and when the book arrived I was overwhelmed by the size of it. As I started to read, I thought to myself how am I ever going to get through this. I went back to the beginning of the book and reread the glossery of terms and the list of explanation of the people and where they fit in. I then continued to read and I still had my doubts and then the book seem to take a magical hold on my mind and I had to force myself to stop reading because my tired eyes had become a blur. By the time I finished reading the entire book I was wishing that it would never end. Found this book by happenstance and a happy find it was. It's been a long time since I've been so engaged in such a rich and detailed world as the one created by McPhail. One of the things that tickled me as I read through the book was the homage, given two decades of wonderful creations by other fantasy authors, in the use of their characters names in new and interesting ways. It was a wonderful inside joke that pleased me to no end. This is the story of two royal brothers, two Kingdom Blades, Found this book by happenstance and a happy find it was. It's been a long time since I've been so engaged in such a rich and detailed world as the one created by McPhail. One of the things that tickled me as I read through the book was the homage, given two decades of wonderful creations by other fantasy authors, in the use of their characters names in new and interesting ways. It was a wonderful inside joke that pleased me to no end. This is the story of two royal brothers, two Kingdom Blades, with destinies that take them out of their lives and into adventures that span worlds, nations, transcends politics and has its roots in the most basic of all morality tales: the battle of darkness and light. I loved the cast of characters and their representative archetypes, worked in familiar ways but with all new faces. The writing is excellent, the dialogue entertaining. I loved it! Will be one I reread a few times, as I have with GRRM, Melanie Rawn, Jacqueline Carey... A new favorite on my shelf. Cephrael's Hand is an epic fantasy of the highest order. I can't even imagine how long it took for Melissa McPhail to invent a language, a world and multiple races of people. She does it all masterfully, with description so vivid I could imagine myself in the opulent tents of the sun-drenched desert, or having high tea with the royal women at Calgaryn Palace. The story lines of the three main characters interweave seamlessly as the story turns from kidnapping to dark magic to amnesia, betrayal an Cephrael's Hand is an epic fantasy of the highest order. I can't even imagine how long it took for Melissa McPhail to invent a language, a world and multiple races of people. She does it all masterfully, with description so vivid I could imagine myself in the opulent tents of the sun-drenched desert, or having high tea with the royal women at Calgaryn Palace. "May we meet again in the Returning"
This is one of the best books I've read in a while and I can't wait for the sequel! The characters are engaging and you find yourself rooting for them. The author does a fantastic job of character development as well. Her descriptions are vibrant and thankfully she doesn't take 5 pages to describe a tree or a flowing river (SO ANNOYING). This book kept me up at night, and that's a good thing. I'm anxious to find out what awaits Trell, Ean, and Tanis. Read this "May we meet again in the Returning"
When I won this from The Goodreads First Read program and saw the size of it I admit, I was daunted. Then I started reading and was taken away to a fantastical land full of many interesting characters, places, and events. The journey is sweeping and not dumbed down, but don't let that intimidate you, it is worth learning all the names, places, etc. This does what great epic tomes do, take you away and make you like it. I can't wait for book two, I'm ready to go back. 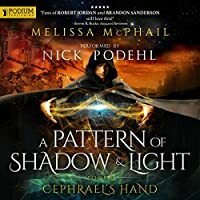 Melissa's fantasy series A Pattern of Shadow Melissa McPhail is a classically trained pianist, violinist and composer, a Vinyasa yoga instructor, and an avid fantasy reader. A long-time student of philosophy, she is passionate about the fantasy genre because of its inherent philosophical explorations. Melissa loves sailing, skiing and discussing books and philosophy—not necessarily in that order. Melissa's fantasy series A Pattern of Shadow and Light has won eight awards and (more importantly to her) a fiercely devoted following. A Georgia native, Melissa now lives in the Pacific Northwest with her husband, their twin daughters and four very large cats.